Bramhall Bakery apprentice Sally Higginbottom, who is based at the Poynton bakery of the Stockport based business, has been awarded a prestigious national award from the Worshipful Company of Bakers to travel on a scholarship to a French baking school for a week of intensive training on Sourdough breads. 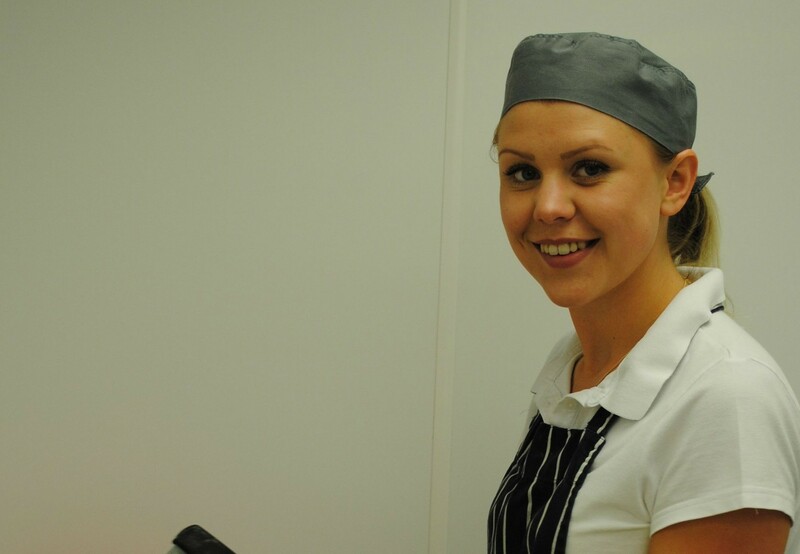 Local Bramhall resident Sally, a former pupil at Bramhall High School, has been working at the bakery for just over a year. Sally follows in the footsteps of the bakery’s previous apprentice Amber Smith, who was awarded the James Allen prize for the bakery apprentice of the year in 2013 and spent a week at a training centre in Scotland. Training is an important part of the business at Bramhall Bakery, which despite its small size currently employs and trains two apprentices. “We are delighted that Sally’s hard work has paid off and we are looking forward to the new skills she will be able to bring back to the bakery” said Director Scott Peters. The popular bakery was set up from scratch 3 years ago and has recently opened a second shop and an expanded bakery facility in Poynton alongside the original Bramhall shop. It is a family business with a focus on hand crafted artisan breads including sourdoughs, as well as a range of other sweet and savoury baked goods.